You've found the FoodCorps and Whole Kids Foundation online School Garden Resource Center! Whether you're working to build a new school garden or support an existing one, this guide can help. Click on any of the topics below or download the printable PDF version of this information. Only 2% of children eat enough fresh fruits and vegetables, and the typical elementary student receives just 3.4 hours of nutrition education each year. School gardens can make a difference. Every seed planted sprouts a new opportunity for kids to learn about healthy choices and develop healthier eating habits. Would you like to share a school gardening resource? Let us know by sending us an email. Make the Case: Why Should Your School Have a Garden? Whether you want to build a new garden or garner support for an existing garden at your school, you will need to be able to "make the case" to administrators, parents, teachers and potential supporters about why the garden is so important. So, why should your school have a garden? Because what we feed our children, and what we teach them about food in school shapes how they learn, how they grow and how long they will live. And children today—in schools all across the nation—are in need. In the last 30 years, the percentage of American children who are overweight or obese has tripled. 1 in 3 children born in the year 2000 are on track to develop Type II diabetes (1 in 2 if they are a child of color). 23% of all American children face food insecurity. Only 2% of children eat enough fresh fruits and vegetables. The typical elementary student receives just 3.4 hours of nutrition education each year. In the face of these challenges, school garden programs can help children grow up to be healthier. Children who grow their own food are more likely to eat fruits and vegetables and to be more knowledgeable about nutrition. They are also more likely to continue healthy eating habits throughout their lives. Children who eat fruits and vegetables are more to carry this healthy habit into adulthood, as well, which can stave off diet-related disease over their lifetimes. School gardens programs not only promote healthy lifestyles in children, but have also been shown to improve children's behavior and performance at school and improve their attitudes about and appreciation for the environment. Gardens serve as great outdoor classrooms for any number of subjects, including science and ecology, math, creative writing and art. School gardens are wonderful spaces for kids with different learning styles and abilities to work in groups and engage in hands-on, cross-disciplinary education. Cultivating strong relationships with stakeholders will ensure that your garden project receives consistent attention and support to help it thrive. Stakeholders are people or organizations that are in invested in and necessary to the success of the garden project. Stakeholders in school garden projects include the school and school administration, teachers, facilities staff, parents, and members of the community where the school is located. Teachers use the garden for curriculum and experiential learning. Parents bring their children for special events and can volunteer in the summer months. Administrators can support the presence of the garden by approving the use of school spaces, supplies, funds and school-day time. Community partners can provide technical expertise, funding or donate supplies. Meet with stakeholders by setting up meetings with the principal, put yourself on the agenda of a school staff meeting and the Parent-Teacher Organization meeting—and come prepared. Bring to the meetings a vision for the future—a plan for your next year in the garden and how you hope the project can grow—and offer your stakeholders real ways to be a part of that vision. Hear from teachers about how you can work together to plan curriculum in the garden, ask parents and administration about their interest in a summer garden camp or afterschool program, or work with your principal and facilities staff to help improve your access to water. Your stakeholders are a support system for your garden—remember to keep them informed! Also, see sections Build Community Partnerships and Spread the Word. Community support and involvement will be key to your garden's success. That's why a well-rounded Planning Committee should be the driving and sustaining force behind your garden. The Planning Committee should play a central role in establishing the garden, organizing events, fundraising, and planning for the garden's future. Get committee members invested and on the same page by having discussions early on about the Mission and Goals for the garden, and keep them engaged with a regular meeting schedule and fun events. Build a structure to support your committee members in their work—remember that they're volunteering their time! Every Planning Committee will look different depending on the needs and vision of your garden project. Committee members should be representatives from your various stakeholder groups who are committed to the garden. Be careful of making your committee so large that it has difficulty making decisions effectively—while 6 or 7 people may be able to have very engaging and proactive discussions, gaining consensus can become more difficult as the number increases. Food service coordinator or member of school "Green Team"
Having clearly defined goals for your garden is crucial in helping your project run smoothly. It helps to ensure that those involved are on the same page, allows you to sell the vision of your project to important stakeholders, can help in engaging visitors and recruiting volunteers, and keeps you on track with your growth and development. What population do we hope to serve? Primarily students or the larger community? When people visit the garden, what do we want them to get out of their experience? How do we want our visitors to remember their time here? How will we measure the success of our garden? By: Number of visitors? Amount of food produced? Number of teachers/classrooms using the garden to enhance their curriculum? Increased student participation? "Our school garden's mission is to improve the health and well-being of students, families, and the larger community." Cultivate student curiosity and exploration. Support student nutrition at school and at home, and encourage every child's ownership over his and her own health. Cultivate children's joy in learning by providing opportunities for hands-on learning in school curriculum subjects. Provide opportunities for students to take on leadership roles. Support students in sharing their own ideas and having their voices heard. Make your school a healthier and greener environment by practicing sustainable gardening techniques that restore natural resources and by teaching students that small steps can go a long way towards creating a healthier environment. Teach students and community members about the joys of hard work and physical activity. Soil: One of your first and most important tasks is to take soil samples from the area where the garden will be and send them off to be tested. This will help to ensure that your soil does not have any contaminants, or may help you decide to pursue raised-bed gardening with new soil. A soil test will also determine your soil structure and will help to define which amendments will be most helpful to add. For more information, contact your state's Agricultural Extension Service. They will provide instructions for a soil test as well as information on interpreting the results. Water: Easy access to water is crucial, and multiple hose hookups for irrigation may be necessary if you live in a hot or arid climate. At the same time, be sure that the land you're growing on has proper drainage – if the soil is often waterlogged, you may want to consider a raised bed system of planting. Sun: Most vegetables need at least six hours of direct sunlight to be successful, and some need many more. Be sure you're not in the shadow of nearby buildings or trees. Consider your garden as a beautiful sight to passers-by and as a space that children can enjoy exploring when not in an activity. Some gardens attached to playgrounds will open for supervised use during recess, allowing children an added relationship with the space. Consider that, if your garden isn't next to the school, teachers will be less likely to use it for curriculum. People of all ages and physical characteristics will visit and use your garden. Make sure that pathways and signage are clear and provide a shady spot for resting or eating lunch for your many visitors. Where will you keep your tools, seeds, or curriculum materials? Inside the school, in weatherproof storage, or in an outdoor shed? Compost is a vital part of the garden cycle and an incredible teaching tool. Many types of compost systems are available, but a three-tier system is most popular for school gardens and allows for a wonderful visualization of the decomposition process. Be sure your compost piles are accessible with a wheelbarrow and in a corner of the garden where the smell of decomposition will not deter any wary visitors. Depending on your area, your garden may be in danger of damage by animals or vandalism. Some sort of fence that still allows for visibility may be helpful, and can also help to let visiting students understand the physical boundaries of the space. Do you dream of a small greenhouse? Cold frames? Chickens? Fruit trees? A brick oven? Keep these hopes in mind as you plan out your space—a successful garden project can grow quite quickly! Doing a quick search online can also yield incredible resources to help the work of your garden. These can be found in the form of lesson plans, planting guides for your area, community partnerships, and more. See our Helpful Links page for links to helpful sites, and seek out your local Agricultural Extension service, Horticultural Society, or community garden for more local information. Schools are the perfect place to create garden-based learning environments because so many students, parents, teachers, and others make up the school community. At the same time, the particular names and faces of those involved in a school and its garden spaces may change over time. Whether you're gardening in containers, raised beds, or directly in the ground, you'll want to be sure your soil is well prepared before you plant. Use the results of your soil test to decide which amendments you want to add, and use your own compost or find a local bulk seller. There are many decisions that go into bed preparation—how much compost to add, how deep to break up the soil, whether to turn the soil by hand or use a tiller, whether to build permanent or temporary raised beds. Each depends on your soil, climate, and personal approach. For a nice overview of the different approaches to school garden beds, begin with the Collective School Gardening Network's downloadable publication, "Gardens for Learning." Master gardeners in your community can be excellent resources for advice on preparing and planting your garden. Trained in horticulture by the USDA's Cooperative Extension, master gardeners volunteer their time to help those in their community plant, grow, and harvest fresh produce from gardens. Master gardeners volunteer in all 50 states and the District of Columbia and can be located through their state programs on the national Extension website. When your beds are ready, you'll need seeds to plant. You can pick up seeds at a local garden store, but you may learn more about the plants and even get a better deal if you order through a seed catalog. There are many wonderful seed companies all over the U.S. Most will send you a catalog for free, and some will even donate seed packets to school garden projects. The following is a list of some of the seed companies in the U.S. Finally, you'll need to purchase tools for your work. Keep in mind the size of school groups that will be visiting your garden, and that you want to have enough tools to keep everyone involved. You may also want to buy some wire brushes for cleaning tools to prevent rust, or institute some other daily tool-cleaning activity that will remind students about proper care for their belongings. The specifics of your growing process will depend on your area and on the specific needs of your plants. Search the USDA Plant Hardiness Zone Map to learn which plants will thrive in your part of the country. Once you know your zone, take some time to research the different varieties you'll be growing and what each plant needs. To get started, check out Cornell University's Vegetable Growing Guides for information on the different needs of common vegetables. But remember, even different varieties of the same vegetable may have specific needs, so consult your seed catalogs and do online research to discover how best to help your plants succeed. And don't forget to check with your local Extension program for growing tips from master gardeners in your community. A school garden is suited to support a full range of curriculum subjects and educational experiences, and here are a few ideas to get you started. Remember to connect with teachers to plan appropriate garden activities, and visit the links at the bottom of this page for further ideas and lesson plans that meet state standards. Throw a Back-to-School Party/Harvest Day. The fall is a bountiful time in the garden, and you can start the school year off by getting the students excited about all the things that can happen in the space that year. At the height of your fall harvest, run a farm stand for the parents and community. Let the students draw the signs for your stand and work with the invoices to practice their math skills. If working with mixed ages, have the older kids take on a leadership role and supervise younger children as they weigh and bag the produce. Keep individual or classroom garden journals. Fill with drawings and observations on the growth of plants, weather patterns, day length, recipes, harvest records, and more! Squash: Discuss plant biology of Flowers, Seeds, and Fruit. Cucumbers and Beets: Make Pickles. Tie into lessons on bacteria or physical phases as you discuss the process of canning in boiling water. Herbs: Get students exploring their senses through a scent scavenger hunt. Discuss the history of medicinal uses for herbs. Native Plants: Wherever your location, you can create a native plant garden to teach your students about ecosystems and biomes and create a space to discuss human impact on the natural world. Three Sisters Garden (Corn, Beans, and Squash): Learn about companion planting, symbiotic relationships, and the history of Native tribes in America. Basil, Tomato, Onion: Cook pizza sauce! Kids can use math and practice fractions as they follow the recipe for sauce and dough. Beans and Root Vegetables: Consider planting fast-growing or root crops in a root-viewing box to explore the underground growth of plants. Discuss the many organisms present in the soil, nutrient cycles and the water cycle, and earth's geology. Carrots: A wonderful treat for first-time gardeners, and can help students to understand the compost cycle. Begin by harvesting early fall carrots, snacking on a few and delivering the tops to the compost pile. Turn the compost and learn about all that's happening inside, and use your ready compost to prepare the carrot bed for a late fall planting! Seeds: In the spring, involve students in seeding crops to be transplanted. In their journals they can record germination rates, and can measure the growth rates of the young plants over the coming weeks. Corn: Discuss agricultural history. From Native tribes to family farms to agricultural expansion during the New Deal, corn has been grown in this country for centuries, and the plant has changed with its uses. Bring examples of corn over the years, discuss how each is suited to the needs of the grower. In conjunction with the American Heart Association, we've developed a School Garden Curriculum! 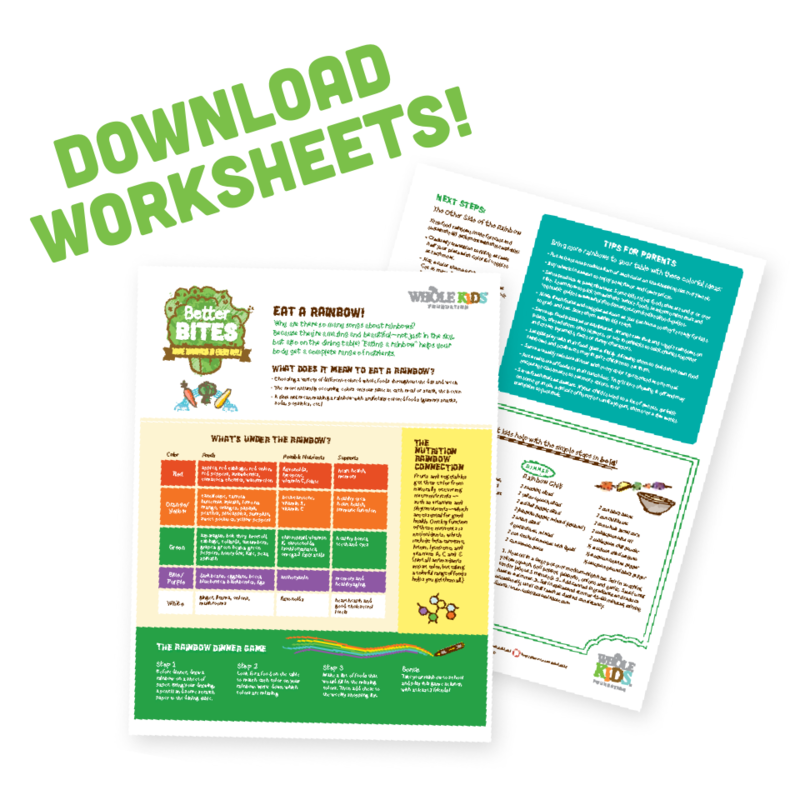 The curriculum contains 35 lesson plans with activities to engage your students in a fun and educational exploration of fruits, vegetables and healthy eating. The lessons are cross-curricular and support curriculum for Pre-K-5th grade. A variety of activities are included so you can pick and choose the learning objectives that are appropriate for your students. A garden is a great resource to use when teaching students about healthy eating and agriculture. Even if you don’t have an in ground garden, you can still complete the activities in this guide with your students. If this is your first time gardening with students, we recommend that you start small. Be sure to establish clear guidelines and safety procedures with your students so that everyone can have a positive learning experience. Volunteers and community members can bring incredible knowledge and energy to your project. Below are some ideas to help you connect with people who are interested in volunteering and support them in their work. Remember to recruit, support and recognize volunteers for their hard work. Reach out in the school newsletter, through a local volunteering website, or to the local garden club. Have a stand at the farmer's market to describe the work of your garden and the many ways a volunteer can help. Hold Community Events in your garden to bring in new faces. Offer free classes once a month, or as often as you can. Remember, your volunteers want to teach but they also want to learn. Keep a regular blog or send out a weekly newsletter so volunteers and community members know what's happening. Visitors to the garden can sign up for the newsletter to hear about events and opportunities to get involved. Remember to thank your volunteers often, and not only after big events. Send a letter or e-mail every once in a while, and throw a volunteer appreciation party at the end of the school year! Have students perform or write to show volunteers just how much their help has meant. Invite volunteers to a meeting with the planning committee every once in a while, to share their own hopes and ideas for the garden. Keep a well-stocked first aid kit on hand. Develop a plan for Emergency situations, or use the one developed by your school and modify it for your space. Where is the nearest phone? School nurse? Hospital? Have the appropriate numbers tacked to the nearest phone. Maintain proper tool storage, and be sure you have proper safety equipment—eye protection if kids will be using hammers, extra boots for those who come in sandals, etc. Perform a soil test to be sure your soil does not contain contaminants. Find more information in the above section (Design Your Garden). Try to work with small groups in the garden, and schedule volunteers and teachers to ensure adequate supervision over the various activities in the garden. Read this USDA publication on food safety in a garden. Record everything! From the hard data of where, what, and how much you planted to the personal impressions you had about running a particular lesson plan. Things will move very quickly in your garden, and you'll be glad to have records to review later. Records are also important tools to use for funding applications and in presentations to stakeholders. Here are a few printable sample record-keeping forms. If you prefer to save your records on your computer with a program such as Excel, make sure to back up your files! Start a blog for your garden, or send out a weekly newsletter with updates, pictures, and events. Create a Garden Calendar that describes what's growing and what activities are happening, and post it online or in the school. This way, teachers can see what's going on in the garden and can have the opportunity to schedule their class a time to visit. Present quick updates during school staff meetings or at the PTOO meeting. Make use of social media like Facebook and Twitter to reach out to supporters near and far. Host a potluck to bring people together. Encourage conversation by asking families to bring dishes that were passed down by relatives, or are meaningful to them in some way. Have an outdoor performance night, where students can perform their writings or songs they've written about the garden. Invite a local chef to teach a class on purchasing, preparing, and using fresh vegetables. Host an "Insect Walk," looking at beneficial and dangerous insects in the garden. Partner with a local garden club! Host a weed walk, explaining the different types of weeds one might encounter and practices for reducing weed count in a garden. Host a CSA Farm Share Fair, where local farms can share information on their different CSA options and families can choose one that appeals to them. Organize a Community Clean-Up Day. Partner with a local environmental or volunteer organization, and offer your garden as a meeting point and end celebration. Organize a Tree Walk—start at your garden and move out into the neighborhood, learning about the different types of trees in town. Organize a bike tour of other local gardens or farmer's markets, or meet at your garden and take a walk to the farmer's market. Host a class on Preserving Foods, Carpentry Basics, or a Fiber Arts Workshop. These will require more funding and supervision, but will certainly be popular! There is a wealth of information online for those working with gardens. Take a moment to check out some of these wonderful websites where you can find more helpful advice, plant information, lesson plans, success stories, and inspiration for your own projects. American Horticultural Society: Offers financial resources, a national list of youth gardening organizations and curriculum, and a national registry of youth gardens. California School Garden Network: Offers free activities, information and research on gardening with youth. Center for Ecoliteracy: Has a variety of resources for school gardeners and those hoping to improve school lunch. Cornell Garden Based Learning: Provides activities, how-to instructions, program tools and ways to connect with others. The Edible Schoolyard: Alice Water's youth education program teaches children about food from field to table. 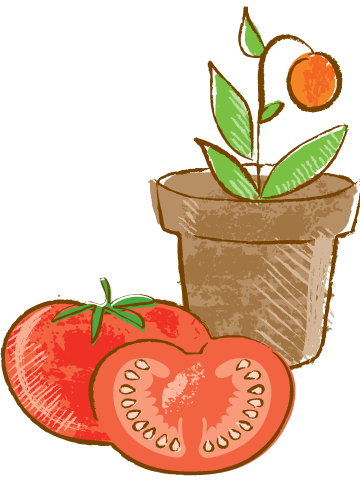 The Food Project: Free PDF resources, including manuals, relating to youth agriculture programs. Junior Master Gardeners: The University Cooperative Extension network's international youth gardening program, providing tools to teach gardening to grades 3-5. The Learning Garden: A series of online courses for gardeners and educators created by the National Gardening Association. Life Lab: California-based nonprofit provides educational workshops and resources on engaging young people in gardens. Michigan's 4H Children's Garden: One of the best children's gardens in the country, with hundreds of small themed gardens and garden-design ideas. National Farm to School Network: Resource section includes wonderful information on previous case studies and success stories. National Gardening Association—Kids Gardening: NGA's Kids Gardening website includes resources on funding, curriculum, and more! School Garden Wizard: Resources and step-by-step templates for teachers interested in starting a school garden. USDA Agriculture in the Classroom: An extensive database of lesson plans under 'Teacher Center."